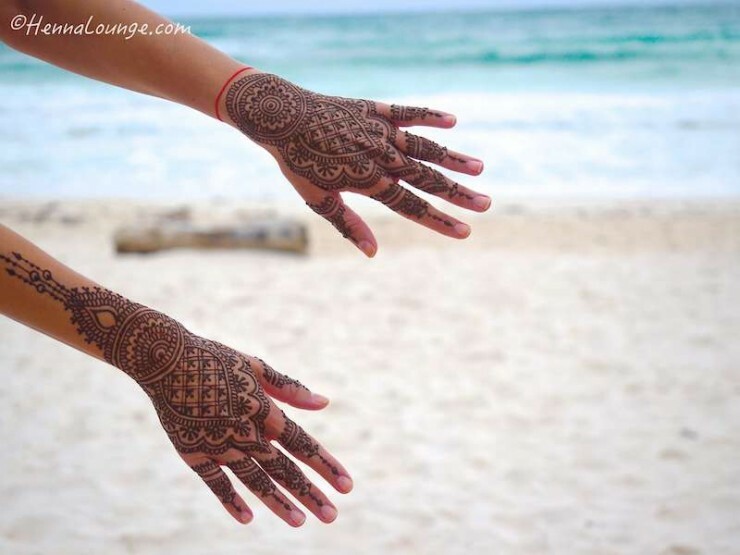 Your retreat includes two henna (Mehndi) treatments to adorn the hands and feet done by Darcy who makes her own organic henna scented with essential oils and leaves a deep auburn stain. Daily Vinyasa classes focus on the 2nd chakra, the energy center of creativity in order to unleash your powers to create. Afternoon practices in front of the sea with music, meditation, and mantras to stimulate both the body and mind, conscious and unconscious in order to elevate your potential. Darcy Vasudev, the founder and master artist at Henna Lounge, is based in the San Francisco Bay Area. She has over 9 years of bridal henna experience and is versatile in everything from traditional Indian and Pakistani patterns, to Arabic and “Gulf” henna, Moroccan design, and contemporary fusion. 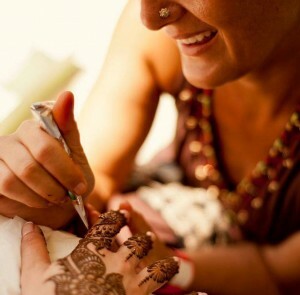 Coming from a fine art background, Darcy enjoys the challenges of figurative mehndi as well. So far, Darcy has brought her art to India, France, Holland, Spain, Greece, Turkey, Thailand, Costa Rica, and Hawai’i though you’ll mostly find her in the Mayan Riviera of Mexico, a major hotspot for Indian destination weddings. Darcy is also a sought-after henna instructor, and has brought her expertise to mehndi and body art conferences across the United States , as well as teaching young adults at educational programs within the Bay Area. She was recognized as one of the top ten mehndi artists in the USA in 2012. When Darcy isn’t traveling, teaching and drawing on people, she resides in the vibrant Mission District of San Francisco, with her boyfriend and two adorable kitties. She paints, drinks a lot of Philz Coffee, sews costumes for Burning Man, and runs errands on her groovy yellow Mission Bike.